I resign from the t.i.c. yes I have your money....but over the next 3 to 4 weeks.....because of my limts....I will still send out till I'm done the bank roll. So peeps....no need to worry....I will do my part and pay out. I wanted to ask the same thing as Chilli, but I'm new here. Eff, this is your club. If you need someone else to do some stuff you don't have time to do, I'll gladly donate any of my time, as I'm sure a lot of people would. please reconsider, you're like the glue that holds this group together. Chilli said it so well. We're all here for you eff, whatever you need, whenever you need it. Annié took thé words right outta my mouth! Ditto alla this. I`m glad thésé thréé can put théir words togéthér so wéll to éxpréss how théy, and wé all féél. sandtraps forum really...so he can take care of it. There is a board of great people in the tank and t.i.c. so there should be no problems there. once again folks......I will send out the t.i.c. bank roll a.s.a.p. I, like all of us here hope you'll reconcider. this place and the tank games are what they are much due to your input and participation. Your one of the first ppl from PSO that treated me as a friend. it would deeply sadden many, many of us here if you up and left, so please dont! Maybe back away from the admin portion or something, but dont just leave altogether. I sure hope you'll have a change of heart and stick around!! All the best what ever you decide of course though sir!! eff i hope this is just a poker break.take what you need or ask and i m sure we will all try to help/understand. just wouldn t be the same without you. lost my poker heart over a year ago......it's more of a mental break down.....brain let me down. I am sorry for my actions of late.....please go ahead and have fun peeps. Hey man, I dunno what all is going on, but speaking for myself, I don't think of the Tank as just a great bunch of peeps, it's a great bunch of peeps with a great Head Drunk... So. I mean, why else would your name be permanently written on the paper towel box in my bar? Hope you stick around, things really wouldn't be the same without you. Hey bud, I really can't imagine what brought all this on. You're not only a big part of what we all do here, but you have to know that you're the main reason for it, if not in some eyes, the ONLY reason for it. Look, on the attitude, I've done it myself. We're human, and to not let out some emotions is to lie to yourself and others. And honesty is integrity. If some don't like it, then they don't, it doesn't mean they necessarily don't want you to be truthful. If they can't accept it, then they don't handle it well. You have to be you. Sometimes we have to keep ourselves in check out of respect for others, but if something is truly bothering you, your friends should let you express it, and have nothing but empathy, because we all have things to deal with. I imagine some of your health concerns dictate that you must keep everything somewhat calm, so please do what is necessary there. Just know, we all appreciate the hell outta you and can't imagine this place without ya'. I don't know what I can add to what others have already said so well. Effsea, you are the glue that makes this place special, and I can't imagine what could make you want to leave. I will miss you, and hope that at some time in the future you will regain your love of the game. Until then, please take very good care of yourself. I totally agree with what the others have said. The tank and the people in this group is the one poker positive since BF. All that you do and have done for both groups is greatly appreciated. I've always found you to be a good influence, and enjoy your sense of humor. You have tried to keep and encourage others to have a balanced attitude, which isn't always easy with a large and diverse group of members.Totally understand if you need to take a break from poker or the administration part, taking care of yourself and family is always of first importance. I hope you needing a break for awhile is just a short term situation, and that in time the interest in poker and the tanks will return. it's not what anyone has said to me or did........I think i let myself down. All my life...I thought of myself as a leader...never someone that follows, the past year I just didn't feel that way. I for one hate excuses... I hope this does not come across as one. I let life get to me........tried my best to battle thew it, but it got to me, and I lost my self control. I got angry for no reason, and took it out on peeps that did not deserve it, at times my actions lately have been out of control. I have been threw alot of life changes this past year and did not handle them all to well.....my fault. I will do my best in the next lttle while to deal with them in the right way, and how to handle myself without causing other peeps problems. ....I will do my part.....cheers............"
Love & Honor go hand in hand; from one, comes the other. One is sustained/perpetuated by the other. To fail one is to fail the other and all else in life that is of Value. And thusly I find that I must say to you Sir, how could you ever suspect or be concerned that we/they/Me/anyone with Any sense of perception, that we(etc.) would believe or think anything about you that would contradict that which is evident IN you? It is clear to All that you are a "Stand Up Dude".....Could you ask to be thought of with any higher Regard? I think Not. You have earned that title with me, and not once have you ever said or done anything to me or another in my observation to disprove the title. Bravo, Sir. Good Day to you. The Tank - is not the Tank - without you. It pains me to know that you are in one of life's down cycles at the moment. Having been through a few myself, mostly self inflicted btw, I can only say hang in there for it will pass. 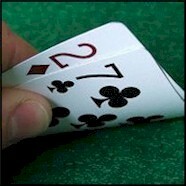 In many ways poker imitates life and variance is alive there as well. Take some time to gain focus again. Learn from the past but concentrate on the future. Know that we are here for you whenever you may need us. I'm really sorry to hear that you are burnt out. Take all the time you need to get in a good frame mind. Like you said it's all about the peeps and the poker game is the place where we meet to have fun. Look after yourself and your family. and remember, we are all about second chances. All the positive things you have done here in the forum, home games and yes the PSO far out weight the negatives.